A quick response time on behalf of the Uitsig Neighbourhood Watch (UNW) and Deep Blue Security was instrumental in recovering the stolen vehicle of a Marina da Gama resident. After a spate of criminal activity in Marina da Gama’s Uitsig Peninsula earlier this year, the quick response time and proactive involvement of the Uitsig Neighbourhood Watch (UNW) and Deep Blue Security were paramount in recovering the stolen vehicle of fellow Marina da Gama resident Bruno Werz, a long-standing member of the UNW. Werz, who was present in his home on the afternoon of Sunday, the 20th of November, was alerted to a loud noise emanating from outside his house; upon investigating, it was found that his car had been removed from his driveway. 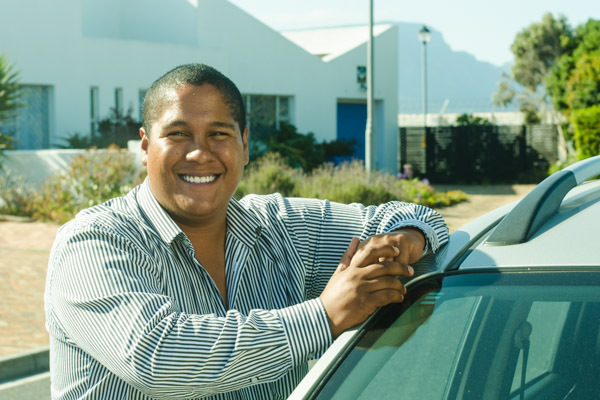 After Werz placed a message on the neighborhood WhatsApp group, urging residents to be on the lookout for his white Toyota Corolla, the message was distributed to several other security forums held on the app with minutes. Alerted to the possibility of criminal activity in their area, UNW members and residents of the Marina alike began searching for the missing vehicle. Werz immediately contacted the South African Police Services and Deep Blue Security – an armed response and monitoring firm active throughout the greater Marina – the latter of which dispatched two armed response officers. One of Werz’s neighbours, James Lunn, investigated his security camera footage and found that a suspicious pick-up truck had circled in the area with three passengers inside. It was at this point that Mario Katts, a fellow resident of the Marina, was informed of the incident by his wife, Chantall, who had seen Werz’ message on the WhatsApp group. Katts, who was originally headed to do grocery shopping at Capricorn Shopping Center, instead established contact with Werz and Deep Blue Security officers with a proposition; to head into the nearby township of Capricorn to search for the vehicle the suspects escaped the area in. Katts, Werz, and Deep Blue Security officers proceeded to comb the streets of Capricorn to no avail; it was after a short while that the group found themselves having driven north into the nearby suburb of Lavender Hill. Having found no trace of the vehicle, the group elected to return to Marina da Gama before night fell over the suburb. However, while re-entering Capricorn, the group sighted a white Toyota Corolla and – upon Werz’ confirmation that the vehicle was indeed his – decided to pursue. The suspects vehicle fled upon being pointed out, issuing the beginning of a car chase throughout Capricorn, Lavender Hill, and ultimately into Overcamp. The suspects ultimately executed a harsh left turn, throwing Katts, Werz, and Deep Blue Security off-track; while searching the area shortly afterwards, the group successfully located Werz’ vehicle which had been abandoned and – fortunately – locked. While the escaped suspects had disabled the ignition on Werz’ vehicle – forcing the car to be towed back into Marina da Gama – Werz was elated to have his vehicle returned to him. Citing the speedy effort made to trace the vehicle’s whereabouts, Werz thanked all residents of the Marina and the UNW members who had assisted him, and in particular thanked Mario Katts and Deep Blue Security for their efforts. While Werz’s vehicle was fortunately recovered, the incident joins several other attempted – and successful – burglaries in the area in recent months. Both Deep Blue Security and UNW reiterated their dedication to take back their neighbourhood.